Tankless water heaters are the wave of the future. With conventional water heaters you lose energy daily keeping the water heated only to have to wait for it to get to your sink or tub to use. With tankless water heaters the water goes through the heating unit, heating water on an ‘as-needed’ basis and being delivered directly to your faucet. Tankless water heaters can often save up to 35% on your water heating costs if installed properly by a licensed professional. 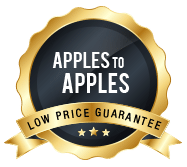 Our certified installers will also make certain that the unit is installed to the manufacturer’s specifications to ensure that your warranty is not voided by mis-installation. 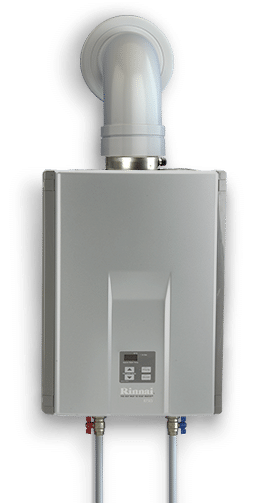 The professional staff at Water Heater Experts can help you decide if a tankless water heater is right for you. We have options that can fit most budgets and all of our work comes 100% guaranteed. 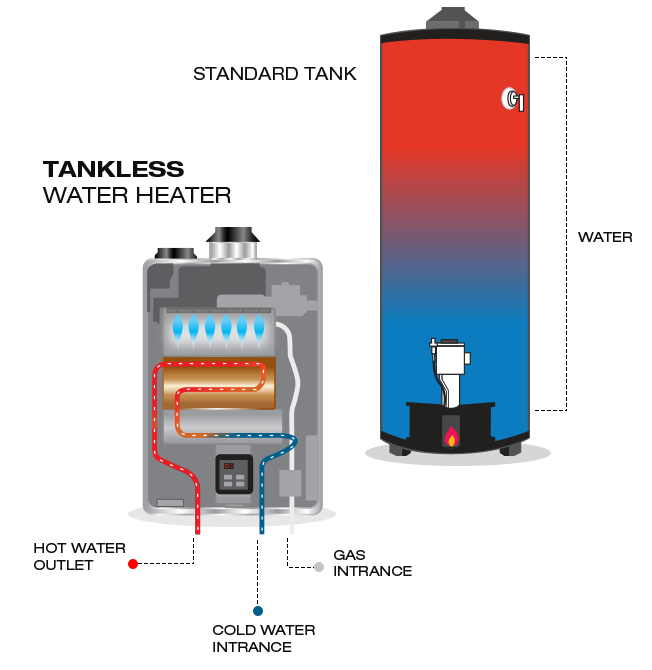 Traditional water heaters must work constantly to keep your tank full of hot water. Even the best tanks have heat loss that requires spending energy to re-heat to the set temperature. Even if you leave the house for a vacation, unless you are diligent enough to go turn down your water heater, your heater will continue to spend energy keeping the water hot. 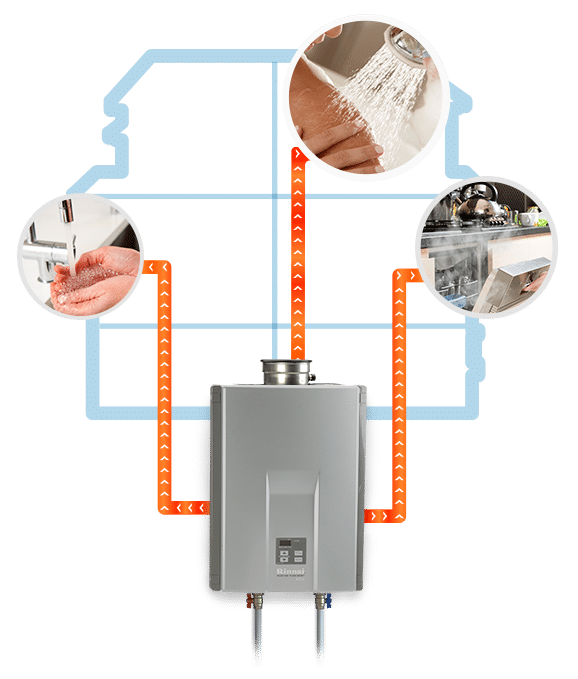 Compare that to a Water Heating system that produced on-demand heated water for you and your family and it doesn’t take long to understand that tankless water heaters are the green energy-efficient choice for modern homes. 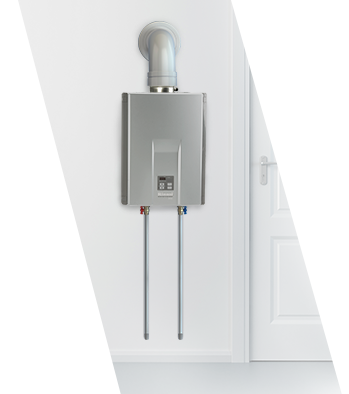 Tankless Water heaters take up much less space. 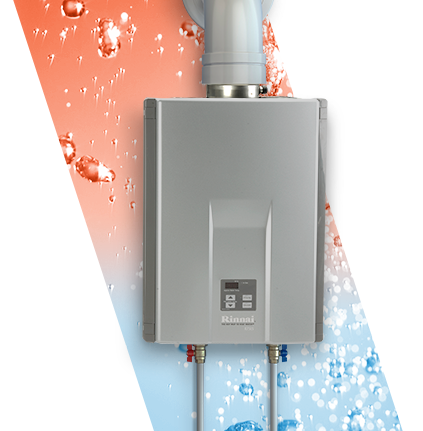 Tankless water heaters produce hot water more quickly and efficiently (in some cases in as little as 10 seconds). Tankless Water Heaters do not run out of hot water. They offer endless hot water for you and your family. Up to 15-year manufacturer warranty. Double standard water heater warranties. Tankless Water Heaters are Energy Star Rated. Rebates and Tax Credits are often available for switching to Tankless Water Heaters. The size you need is dictated by your daily water consumption needs. We will be able to advise you, based upon your family size what size water heater will be right for your home. If you are constantly running out of hot water, now would be the time to change out for a larger capacity unit.